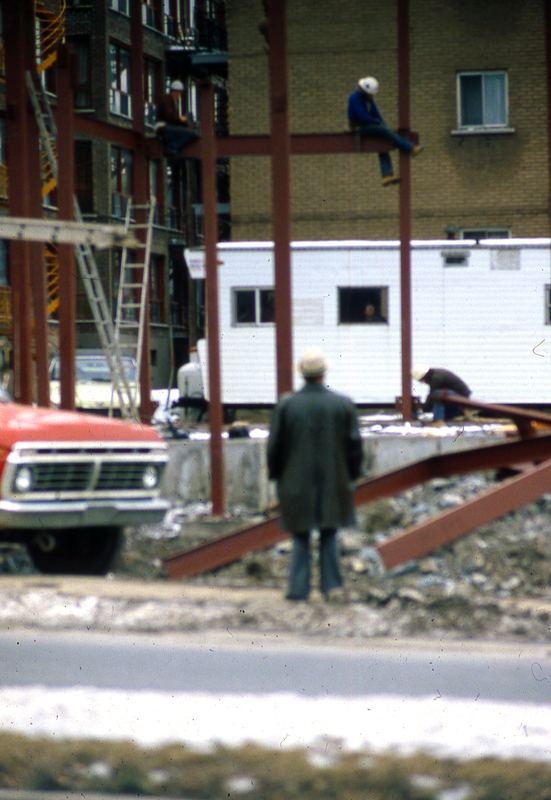 A rather ordinary photograph men at work, and a foreman, nothing special about this pic, taken in a fairly low-end area of Montreal in November 1981, no big story to accompany this one, just a daily life shot of my neighborhood at that time.. This entry was posted in photography and tagged Montreal, Workers by JMR-ART. Bookmark the permalink.